Last Sunday, Pastor Robert Morris of Gateway Church in Texas made a very special announcement to his congregation. Morris told his multi-site congregation that the church had launched a new campus back in November. However, most Gateway members will not be able to attend church at the newest location. According to Fox News, the prison is a 90-minute drive from the Dallas area and houses 4,000 inmates. The Coffield Campus is open to the prison’s 2,000 minimum security offenders. While only minimum security offenders can attend the services as they choose, medium security offenders can attend only on special occasions. Medium security offenders were allowed to attend the launch in November. As for the maximum security offenders, this group receives materials from Gateway Church, including the church magazine, devotionals and books. 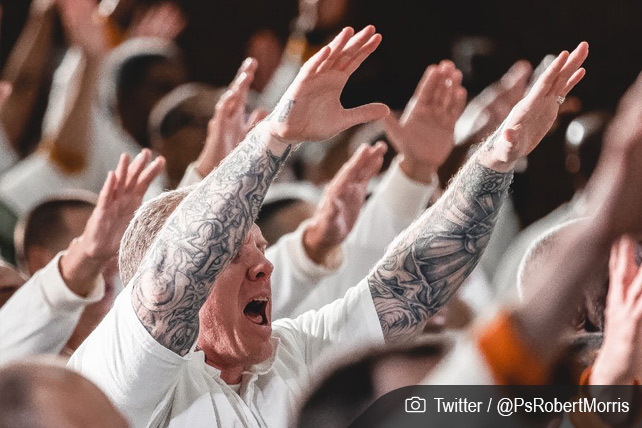 As a matter of discipleship, the Coffield Campus operates like other Gateway campuses, with inmates filling roles such as ushers, sound techs and worship team members to make the service run smoothly. The Coffield Prison isn’t the only prison that Gateway intends to reach. Morris said they are working to launch 10 more campuses in the next two years. You can watch the announcement Morris made from Gateway’s Southlake campus, which includes footage of the new Coffield campus, in the video below. Next articleShould Pastors Tell Church People to Obey Them?